The Graphic Design and Communications Program will occasionally receive requests from the community to do graphic design work as either pro bono or as limited budget freelance work. One such opportunity was presented to all students in the program as an optional project to pursue if interested. 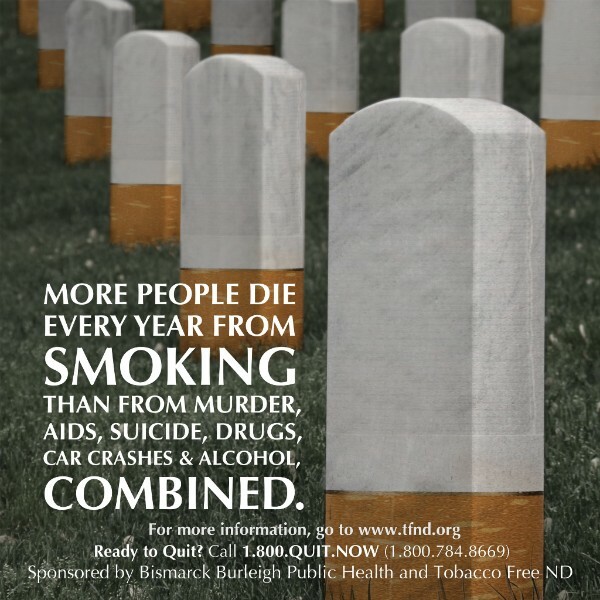 The Bismarck Burleigh Public Health (BBPH) Tobacco Prevention and Control Department and Tobacco Free North Dakota (TFND) were looking to engage college students in tobacco prevention efforts with designs for a poster and social media banner. 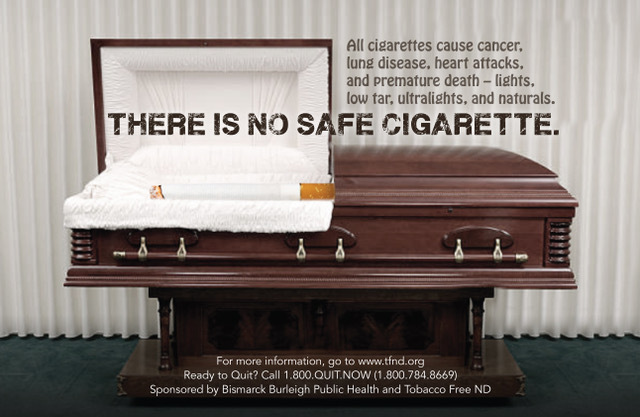 Students were to use Big Tobacco’s court-mandated corrective statements as themes for posters, social media banners, as well as in Off the Wall Advertising throughout Bismarck. Four second-year Graphic Design and Communications students, Alexis Glass, Josh Schaefbauer, Witney Nielsen and Isaiah Lindsay submitted finished concepts for the project. 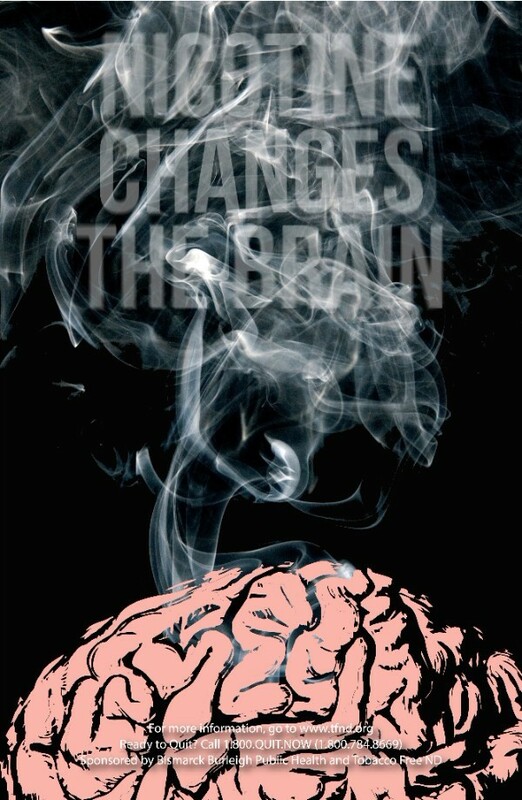 Winning poster design by Isaiah Lindsay. University of Mary Health Pro students judged poster submissions and selected the winner. 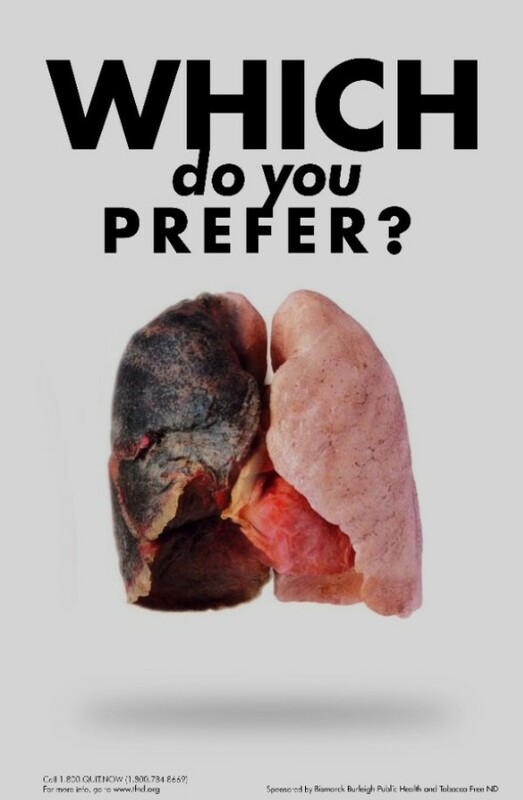 Lindsay’s winning poster will be displayed at United Tribes Technical College (UTTC), U of Mary, and BSC during Kick Butts Day. You’ll also see it among Off the Wall’s Indoor Advertisements in local Bismarck restaurants through April and May. 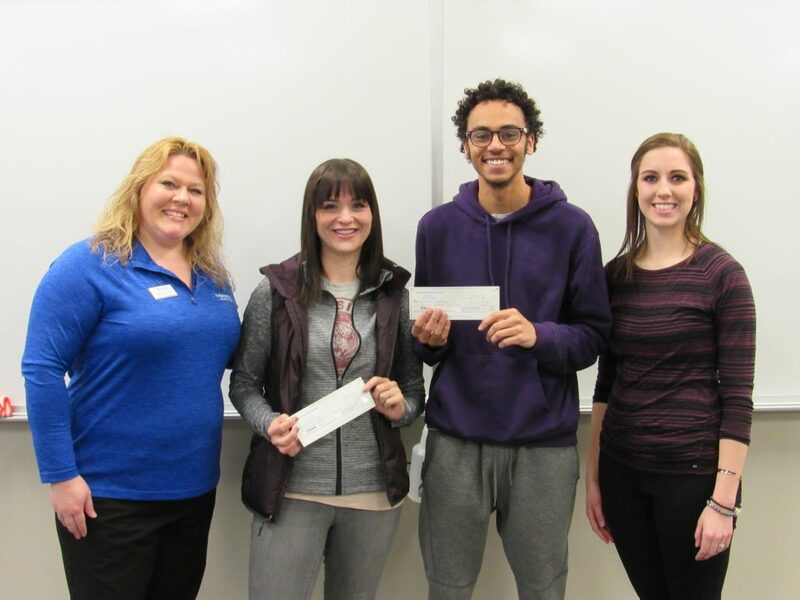 Heather Austin of Tobacco Free ND and Jordyn Schaefbauer of Bismarck Burleigh County Health present checks to winners Witney Nielsen and Isaiah Lindsay.